Farms with $1 million or more in annual sales — only 4% of the total — now produce two-thirds of the country’s agricultural output, the largest portion since the U.S. Agriculture Department’s census began tracking the statistic in the ’80s. The shift means food production is being increasingly handled by larger farms, which can be more financially secure. It also fuels a cycle in which size begets size, further transforming the rural economy. Smaller-scale farmers struggle to expand their operations to become profitable. Work becomes more scarce. Farm-supply retailers and grain companies are pressured, since larger farms use their size to wrangle better deals. Owners say the big operations — which are still almost entirely run by private farmers and not companies — use machinery and technology more efficiently, get better prices on bulk supplies and manage to keep more of the profits by cutting out middlemen. Mr. Frahm, 59 years old, said decisions on his farm are driven by the constant analysis of efficiency and scale — cents per pound or units per acre. “I’m always interested in, how big is too big, how far can this thing go?” he said, clad in bluejeans and a Pioneer seeds ball cap. In more than three decades of running his farm, through droughts and commodity-market swings, he said he had only one losing year. Mr. Frahm estimated that farms of his size can produce $10 million to $15 million worth of grain in a good year. With that amount of production, well-managed farms can reap $1 million to $3 million in profit, even in times of low crop prices, he said. A typical smaller farm selling just $500,000 worth of grain annually has over the past three years generated a 5% profit margin, or about $25,000, said Mark Wood, a Colby-based agricultural economist for the Kansas Farm Management Association. Mr. Frahm said his farm provides steady, well-paying jobs and helps fund Colby’s hospital and community college. But he has stepped in at the last moment to place the winning bid at land auctions, and he knows that rankles other farmers. Some landowners see him as more of a corporate manager than a grower and have avoided renting their fields to him, looking instead for smaller farmers, he said. “I run into that resentment — ‘haven’t you got enough by now?’ ” he said. 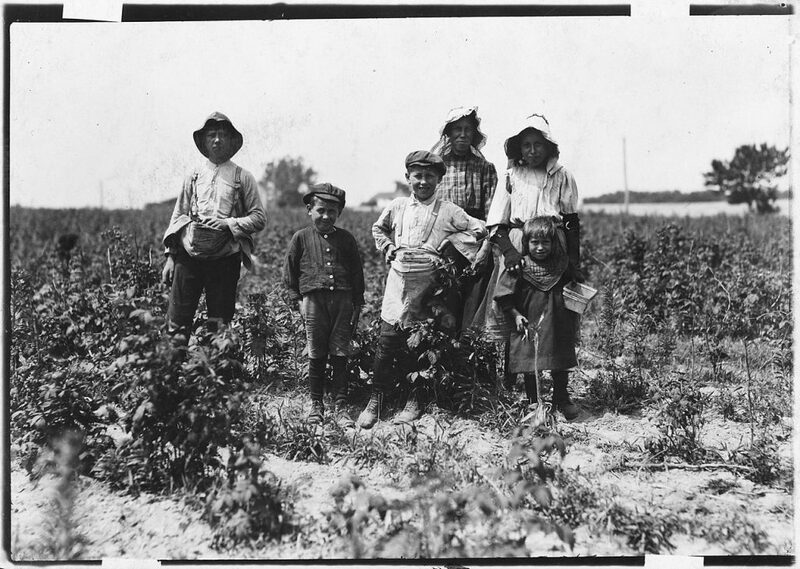 Mr. Frahm’s family settled and began farming near Colby, which now has a population of 5,419, in the 1880s. In 1986, after a heart attack killed his father, Mr. Frahm took over the family’s 5,600 acres. The farm was large but not unheard-of in Kansas at that time. He said he looked for opportunities to expand, persuading relatives to lease him fields and plowing profits from good years into buying land. In 2013 he negotiated his biggest-ever expansion, adding 7,000 acres when an uncle retired, boosting his total land by nearly one-third. This spring, Mr. Frahm rented another 480 acres, and he said he is negotiating this fall to buy more. Rural demographics are moving in Mr. Frahm’s favor. The average age of a U.S. farmer is 58. Younger people are moving away, and over time more fields wind up owned by heirs in towns or cities hundreds of miles away. In Kansas’ Thomas County, where agricultural economists estimate that more than half the land now is absentee owned, Mr. Frahm can make an attractive tenant. Some landlords have approached him to rent their fields, knowing he has a good reputation for making lease payments and maintaining the land. That makes it tough for farmers like Michael Juenemann. He grew up on a family farm near Colby, but his parents’ 160 acres don’t produce enough crops to support the two of them, let alone Mr. Juenemann and his own family. For the past five years Mr. Juenemann, 29, has been renting small parcels of land to farm himself, borrowing machinery and rolling out of bed to bale his own hay in the dark. To make ends meet he works for other farmers, and said the hours mean he missed much of his son’s first years. Still, he said, “for as long as I can remember, it’s been what I wanted to do.” Mr. Juenemann needs more land if he is to farm full time for himself. But buying enough acres requires a down payment he can’t afford. This spring, a few good fields became available for rent just up the road from his in-laws’ farm — but Mr. Juenemann only found out after Mr. Frahm began farming them. “That’s aggravating — opportunities like that where I could get some more land, but [landowners] will go directly to the big guys,” said Mr. Juenemann, adding he doesn’t blame Mr. Frahm. Many large farmers pay cash on leases, versus the crop-sharing deals that smaller farmers have often used and which add risk for the landowner. Some large farmers provide more comprehensive data on how the property is cared for and used. Mr. Frahm offers a mobile app that shows his landowners how much moisture their fields are getting. Three-quarters of America’s farmed cropland is controlled by 12% of farms, USDA data show. The number of million-dollar-plus revenue farms more than doubled between 1992 and 2015, while the ranks of smaller farms, with revenue between $350,000 and $999,999, fell by 5%, as farmers get older and have a hard time making consistent profits. USDA researchers, in a December report, said consolidation is likely to continue. An average farm household in the Colby area needs income of at least $50,000 annually to get by, said Mr. Wood, the agricultural economist, which has become harder to generate from a smaller farm. “The big guys can cover their costs and have money left over to grow,” Mr. Wood said. Smaller farms, he said, “are going to struggle.” Bill Miller, 65, who farms about 10,000 acres around Colby, has absorbed other farms from neighbors who retired or moved on. He said the younger generation will have a hard time growing big enough to compete with large, entrenched farms. “If you don’t have family in it, you’re probably not going to get into it, because of the expense” of acquiring land, he said. The local school district has lost more than one-fourth of its students over the past 20 years, he said. “The young people are moving away, because the farmers need less help,” Mr. Miller said. The big machinery and technology used on large farms — such as remote sensors for irrigation systems — mean fewer workers are needed. About 20 miles away, Bill Dible has raised crops near Rexford, Kan. — which has a population of about 230 — for more than half a century. For many years, he bought groceries at the town’s supermarkets, sipped coffee at its cafes and shot pool at its billiards halls. As farms and related companies consolidated, nearly all those businesses have closed. “This mega farmer deal, it’s killing all the communities,” said Mr. Dible, 84. “They make it tough on other people.” At Colby’s Farm Credit of Western Kansas, chief credit officer Mark Winger said the bank over the past decade has reduced the number of loan officers that deal with farmers. As large farms absorb smaller ones, he said, that leaves fewer farmers to finance, and more concentration of risk in larger loans. Some area farm-supply retailers, which sell seed and chemicals, have trimmed head count. Local grain companies, such as Winona Feed and Grain and Rexford Grain, which buy grain from farmers and sell it on to exporters, livestock operations and ethanol plants, have been absorbed by larger regional players, including Frontier Ag Inc. Large farmers often seek to buy chemicals and materials from suppliers with direct links to manufacturers, and increasingly handle grain storage and sales themselves. Farmer-owned cooperatives, which handle grain and supplies and share profits among member-owners, are working to adjust. Jeff Kahle, who grew up near Colby and now manages eight regional facilities under farm cooperative company CHS Inc., has watched area farms consolidate. Two decades ago, around the time Mr. Kahle started working at the co-op, it wasn’t uncommon for 120 farmers to turn up at a planting seminar hosted by Kansas State researchers. These days, he figures 20 farmers might show up, even though they still represent the same number of acres. As a result, he said his operation has shed about one-fifth of its staff over the past 10 years. “The larger [the big farms] get, the more difficult they are to do business with on a retail level,” Mr. Kahle said. Over time he said he aims to provide more advisory and technology services to farmers. Mr. Frahm said he largely stopped dealing with local co-ops around 15 years ago, when he started finding better prices by scouring the internet for deals on seed and chemicals. Now he orders seed and pesticides by the truckload. When it comes to selling crops, he prefers dealing with brokers that match up his crops with area feedlots and ethanol plants, which can fetch him higher prices. He stores nearly all his grain in his own bins and runs his own loading station, saving on transport costs and giving him more flexibility on when to sell based on grain prices.